What is WP-ORG & Why Donate? Last Sunday we kicked off Fund Drive 45. As I write, we’re at 34% : ) Fantastic! This morning I’m sitting in my dark office, watching the morning rays of sun illuminate springtime in the Texas Hillcountry. The trees are newly leafed; the grass already tall and in need of mowing. Bluebonnets have sprouted in lush bunches straight out of the rocks in my driveway. Mockingbirds are singing and screeching and tangling with each other midair like drunk pinwheels. And that, right there, is why we do what we do. Human relationships are the most valuable things we can nurture in life. And nearly 71 years after graduation, these classmates and lifelong friends are continuing to weave the story of the Class of 1948, using services provided by WP-ORG, supported by donations from all those who appreciate West Point. What we are doing at WP-ORG is good and valuable. And everything WP-ORG is was built on your support. Please donate to Fund Drive 45 so we can continue, as a community, to write the story that begins with West Point. Six seconds. Not enough time to do much of anything, but Cpl. Jonathan Yale and Lance Cpl. Jordan Haerter made their last six seconds on Earth count in a way that has passed into Marine Corps legend. Their astonishing heroism in stopping a truck bomb attack that threatened the lives of scores of Marines and Iraqis is now the subject of a short film that will have its first screening next month. President Donald J. Trump presented former Army Staff Sgt. Ronald J. Shurer II with the Medal of Honor during a ceremony at the White House for his heroic actions in April 2008 as a Special Forces medic in Afghanistan. Soldiers from Fort Bragg, North Carolina, and Fort Campbell, Kentucky, took top honors this week in the Army’s searches to find both the best combat engineers and the best mortar crew in the service. Two officers from the 39th Brigade Engineer Battalion were named best Sapper on Thursday, according to a release from Fort Leonard Wood, Missouri, while four noncommissioned officers from the 82nd Airborne Division aced the Best Mortar competition at Fort Benning, Georgia. Major League Baseball pulled the curtain back today on a number of special edition 2019 uniforms, to include editions designed to honor the fallen and celebrate military personnel throughout the month of May. One noticeable change, compared to previous seasons, is that the League is taking a more subtle approach with its Memorial Day uniform accents in an effort to respect the real meaning behind the day, Melanie LeGrande, Major League Baseball’s vice president of Social Responsibility, told Military Times. “From Major League Baseball’s perspective, it was important for us to ensure that we were being appropriate to the spirit of Memorial Day,” LeGrande said. HOPKINTON, Mass. (Tribune News Service) — Army Gen. James McConville, who has been nominated to become the next chief of staff of the U.S. Army by President Donald Trump, will start wave three of the Boston Marathon. The Hopkinton Marathon Committee picks the starters for waves two through four. McConville, the 36th vice chief of staff of the Army, ran the 2017 Boston Marathon with his son and Gen. Joseph Dunford, joint chief of staff. WEST POINT, NY — Coming into West Point as a prior enlisted Soldier provides positive benefits for not only Class of 2022 Cadet Tony Britvec, but also for his fellow cadets. 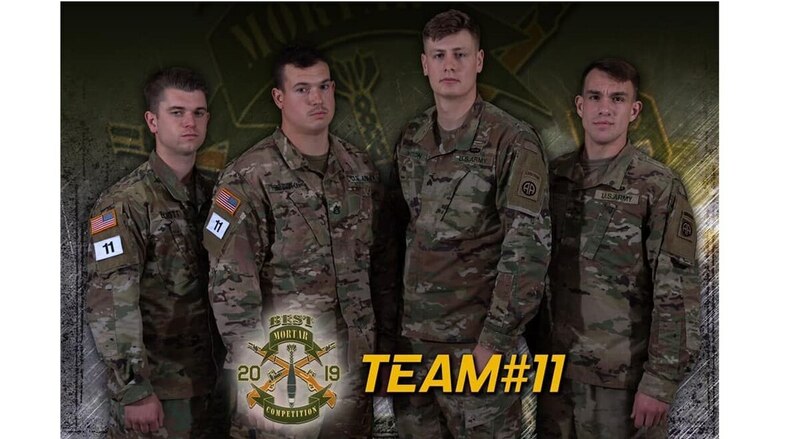 As Company C-3 team leader and the only prior service member in his squad at the Sandhurst Military Skills Competition, Britvec credits his knowledge of the competition to his teammates and to the academy for his preparation. Britvec’s passion for working for the greater good and helping others, is what motivated him to join the Army while he was still a senior in high school. Great power competition has been the primary driver of the Pentagon over the past few years, but the Defense Department doesn’t get to pick the next war. It is more likely that the U.S. military will be drawn into another conflict against an insurgent or proxy force, than it will end up fighting naval battles in the South China Sea or halting Russian armor in the Fulda Gap. “While you’re going to have the larger force-on-force kind of engagements, at the same time, there’s going to be action in ‘gray zone’ … the space in between war and peace,” said retired Col. Frank Sobchak, co-author of the long-delayed Iraq War Study and a former Army Special Forces officer. Top Army brass are looking to what seems like a simple item, camouflage netting, to solve a very modern technological problem — electronic signals that give away soldier and unit positions. 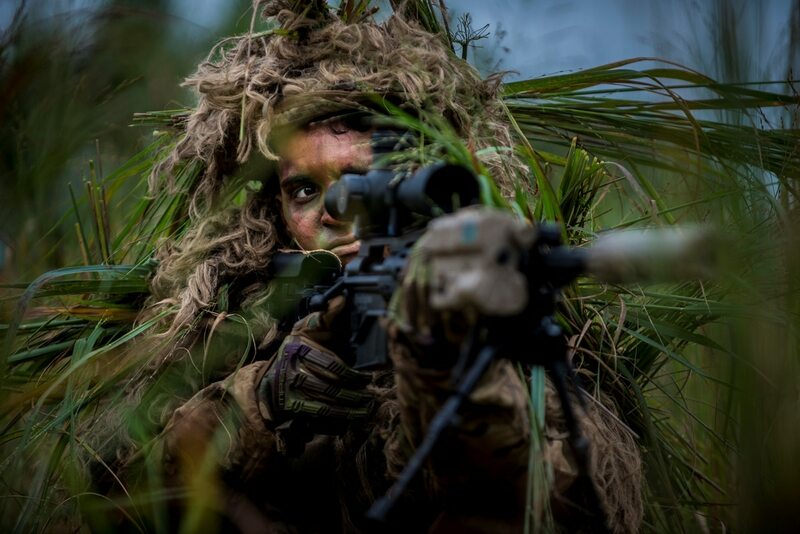 A variety of camouflage being developed now is aimed at hiding electronic signatures and concealing soldiers and their equipment, masking them to the eye and hiding them from sensors in modern communications and targeting equipment. The Army awarded contracts a year ago for engineering, manufacturing and developing the new Ultra-Lightweight Camouflage Net System, or ULCANS. As the Pentagon wraps up a sweeping three-year review of valor medals awarded in conflicts after Sept. 11, 2001, officials are preparing to roll out a new policy designed to ensure acts of military heroism receive the full recognition they deserve. Expected to be announced this month, the new policy will trigger an automatic review at the higher headquarters level within 120 days for any Silver Star or service cross not reviewed by the appropriate service secretary. This will help ensure that troops are not inadvertently approved for lesser awards than they deserve, said Patricia Mulcahy, the Pentagon’s director of Officer and Enlisted Personnel Management. We did a PHP software upgrade. Here is the news you may have missed regarding our West-Point.org JOOMLA sites. CLICK HERE! Did we miss an important news event on this page? Provide us the link, and we’ll quickly remedy the situation! WP-ORG’s Fund Drive 45 Starts Today! PHP software upgrade…or what happened to our West-Point.org JOOMLA site?